Add some stylish storage to your home with the Gracie Two Door Two Drawer Cabinet! 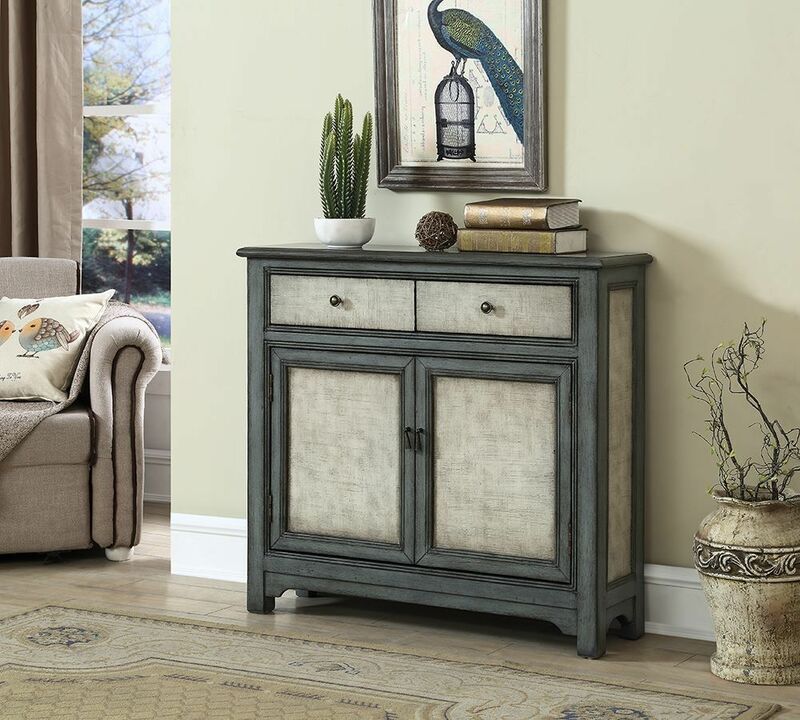 This classy cabinet is sure to be a stunner in your home featuring a painted finish, a two tone exterior finish, and a contrasting interior blue finish. Never worry about running out of storage space, with one fixed shelf, two doors, and two drawers. 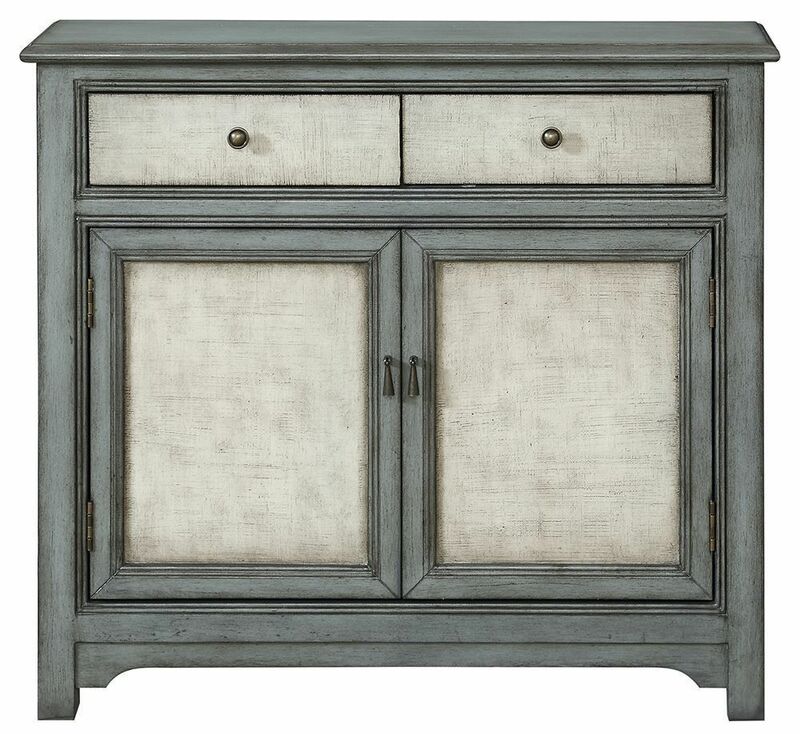 Bring home the Gracie Two Door Two Drawer Cabinet! 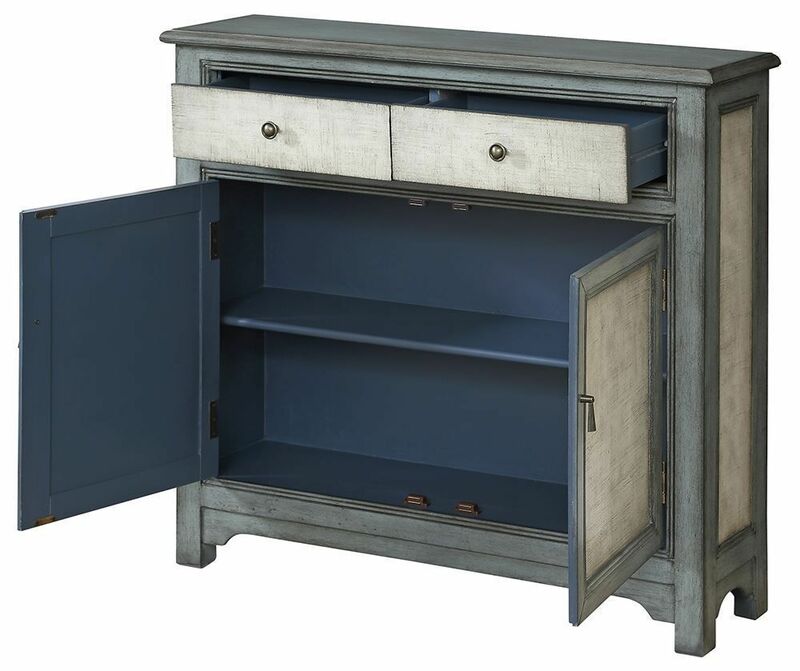 Add some stylish storage to your home with the Gracie Two Door Two Drawer Cabinet!